An injury to the head can be one of the most damaging types of injuries. When the head is struck, either in a sports accident, car accident, fall, or other type of incident, the brain is likely to be injured as well. Many injuries to the head and brain are classified as traumatic. A traumatic brain injury is one in which the brain tissues are bruised, torn, or otherwise damaged. These injuries impair a person’s physical and cognitive abilities. In some cases these side effects are short-lived. However, brain injury victims often suffer from long-term symptoms, including lifelong disability. Lifelong disability completely alters the way a person lives. The costs of a lifelong disability are significant. At Foley Law Firm, we assist clients who are suffering from brain injuries that result in lifelong disability. Our Scranton, PA brain injury attorneys fight for clients to ensure they are adequately compensated for the extensive damages caused by lifelong disability. Altered state of consciousness: A brain injury can alter a person’s state of awareness. Following a brain injury, a patient may be comatose, vegetative, minimally conscious, or even suffer from “locked-in” syndrome, a condition in which the patient is awake and aware, but unable to communicate. Cranial nerve damage: Cranial nerve damage can result in a number of side effects, including facial paralysis, blindness, and difficulty swallowing. Cognitive problems: Many brain injury victims suffer from cognitive problems. These include mental difficulties with memory, reasoning, problem solving, and decision-making. Other cognitive disabilities include impaired speech, difficulty writing, and difficulty understanding speech and writing. These potential side effects can truly disable an individual. Symptoms such as those listed above can impair day-to-day functions and make it difficult for a person to work or even care for themselves. Unfortunately, these side effects are often long-term. In fact, the CDC reports that at least 5.3 million Americans require long-term care following a traumatic brain injury. 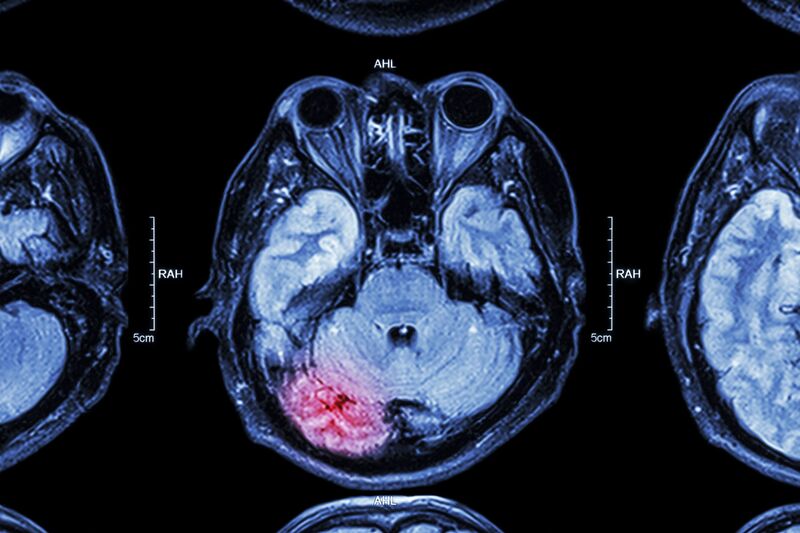 The physical effects of a traumatic brain injury are really just one aspect of the damages suffered by injury victims. Traumatic brain injuries also put an emotional and financial strain on accident victims and their families. It is very important to seek legal help following a traumatic brain injury. At Foley Law Firm our team of brain injury attorneys understand the unique hardships of a traumatic brain injury. We are here to fight for the rights of brain injury victims and their families. Our attorneys can prove liability in a brain injury accident to ensure that just compensation is provided. We will fight for maximum financial compensation for all damages suffered (including the cost of lifelong medical care) so that our clients have one less burden to worry about. The physical, emotional, and financial costs of a traumatic brain injury can be enormous. It is important that those responsible for such injuries are held accountable for the damages they’ve caused. If you or a loved one has suffered a traumatic brain injury, our attorneys can help you fight for compensation for damages suffered. Contact us at your earliest convenience to discuss the details of your case and find out how we can help.